Paul Schmidt is Chairman of BakerHostetler and chair of the firm’s Policy Committee, its governing body. Drawing on decades of experience, Paul counsels multinational corporations, private equity and hedge funds, and publicly traded partnerships, along with industrial, technology, energy and commodities businesses, on all facets of taxation, from controversy to transactions to planning, with a particular focus on international taxation. Paul advises clients on technical and policy issues in connection with tax reform, transfer pricing, treaties, permanent establishments, U.S. trade or business, subpart F, foreign tax credits, GILTI, FDII, BEAT, and global debt issues. As former legislation counsel to the U.S. Congress Joint Committee on Taxation, Paul has a unique understanding of corporate and international tax matters, and significant experience handling issues in connection with examinations by the Internal Revenue Service and frequently advises clients on issues raised by foreign tax authorities. Paul regularly deals with tax issues in connection with the hospitality industry, including hotel groups, timeshares and fractional interests. He also has worked extensively on tax issues associated with intellectual property, supply chain management, contract manufacturing, and structuring inbound and outbound global joint ventures. 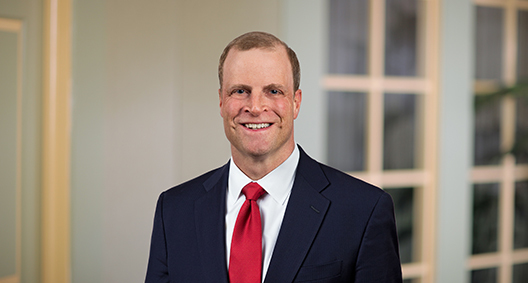 Prior to being elected Chairman of the firm, Paul spent nine years as chair of BakerHostetler's national Tax Group and also served as the leader of the firm’s International Tax team. Paul is ranked in Chambers USA: America's Leading Lawyers for Business, is listed in The Best Lawyers in America© and appears on the Washington, D.C., "Super Lawyers" list. Paul is a member of the Bloomberg Tax U.S. International Advisory Board, has served as the U.S. vice chair of the American Bar Association Tax Section Foreign Lawyers Forum, and is a member of its Government Relations Committee. Paul is a member of the George Washington University / Internal Revenue Service Institute on Current Issues in International Taxation Advisory Board; and the Parker Fielder Oil & Gas Tax Conference Advisory Board. Paul also formerly served as the chair of the AICPA International Taxation Technical Resource Panel, and taught international tax as an adjunct professor of law at Georgetown University Law Center for over a decade. Advised a major hospitality company in connection with restructuring a line of business in Europe in anticipation of an over $1 billion sale transaction prior to a major U.S. spin-off reorganization. Advised a foreign-based manufacturing company in connection with issues related to certain intercompany restructuring transactions and the impact of new regulations issued in connection with U.S. tax reform. Representing a foreign-based manufacturing company in connection with IRS proposed transfer pricing adjustments with respect to certain intercompany debt. Representing a U.S. multinational company at U.S. competent authority and in advance pricing agreement negotiations relating to certain Canadian initiated transfer pricing disputes. Advised a major U.S.-based energy company on structuring considerations, including issues resulting from U.S. tax reform, in connection with certain joint venture export arrangements. Advised a private equity fund on the unwind of a Brazilian fund investment structure, including advising on certain passive foreign investment company issues. Advised a U.S.-based hospitality and gaming company on the impact of certain repatriation provisions, foreign tax credit provisions and interest limitations in connection with proposed regulations issued in connection with U.S. tax reform. Advised a Fortune 100 company in connection with the U.S. tax issues associated with the acquisition of manufacturing operations in Belgium and the Netherlands. Advised a major U.S. private equity fund in connection with its international investment advisory structure, permanent establishment issues and transfer pricing issues. Provided tax analysis, tax risk-assessment, tax disclosure, and tax opinions in connection with debt and equity offerings of a publicly traded oil and gas transportation company structured as a master limited partnership (MLP). Provided tax structuring advice, tax accounting method advice, tax risk-assessment, tax disclosure, and tax opinions in connection with the debt and equity offerings of a publicly traded oil and gas exploration and production company. Advised a multinational U.S. agribusiness in connection with the disposition of a fertilizer business in Brazil and Paraguay. Advised on structuring and U.S. international tax issues in connection with a joint venture for the importation of liquefied natural gas, perhaps one of the biggest transactions of its kind at the time. Advised a global food processing and commodities trading corporation on several joint ventures, including a multibillion-dollar Pan-Asian commodity trading structure. Provided U.S. tax and corporate advice in connection with the restructuring of a U.S.-based, publicly traded multinational company's exchange and rentals business unit that involved five different European countries. Provided U.S. tax advice in connection with the consequences of the unwinding of a joint venture related to processing commodities in Eastern Europe. Provided U.S. tax advice on a several billion-dollar public acquisition of a multinational group of companies, including issues arising under the Foreign Investment in Real Property Tax Act and the passive foreign investment company regime, as well as certain unique potential consequences of the inversion legislation. Advised a Fortune 25 public company with respect to structuring a cross-border oil and gas export joint venture, including addressing U.S. trade or business and effectively connected income issue, title passage and transportation tax issues related to the shipping aspects of the transaction. Advised a client in connection with a global principal structure, including outbound transfer tax issues associated with a multinational agribusiness. Advised a public manufacturing company in connection with a multinational acquisition, including performing international due diligence. Advised a major media firm in connection with an offshore acquisition, including analyzing the effects of Sections 367 and 1248 on the seller. Advised a multinational hospitality company on international tax structuring in Asia, Europe, Australia and Latin America, including intellectual property matters, transfer pricing, exit tax and foreign tax credit planning. Structured a tax-sharing agreement that resulted in tax attributes enabling the structuring of the company's brand names and utilized holding company structures overseas. Advised a U.S.-based manufacturer in connection with the structuring of the tax acquisition of a multinational group based in Latin America. Advised on post-acquisition integration, as well as with respect to U.S. and non-U.S. tax considerations, elections, loss planning, subchapter C issues and international tax issues. Advised a global private equity fund on structuring and the U.S. tax implications of an exit from an investment in China, including U.S. foreign tax credit implications. Advised a global private equity fund in connection with structuring the exit of an investment in Australia. Advised a global private equity fund client on global structuring steps in multiple jurisdictions while preparing for an initial public offering and ongoing related issues, including developing a strategy for an international tax structure. Advised a Fortune 50 company on a potential cross-border merger transaction with a third party. Performed due diligence, tax synergy analysis, U.S. tax credit analysis, U.S. subpart F analysis, tax-free reorganization analysis, inversion considerations, interest expense deductibility and interest allocation, and similar responsibilities. Advised a U.S. multinational corporation on a cross-border structure in connection with Canada, including cross-border structuring, debt financing, foreign tax credit planning and repatriation planning. Advised a non-U.S.-based pharmaceutical company on structuring U.S. acquisitions, operations, permanent establishment and U.S. trade or business considerations, and transfer pricing issues. Advised a German multinational corporation on the disposition of a line of business including its U.S. operations, as well as structuring the transaction to optimize the tax result. Advised an Austrian manufacturing company on structuring a reorganization of its non-U.S. operations and U.S. operations in a manner so as to qualify for U.S. treaty benefits. Successfully resolved at IRS Appeals, with a substantial government concession, a tax controversy matter in connection with certain SEC disgorgement payments. Successfully resolved at IRS Appeals, with nearly a full government concession, an IRS controversy in connection with an accounting method issue involving the proper time for an accrual basis taxpayer to take a tax deduction for an annual payment made pursuant to the master settlement agreement entered into with the 50 states with the major players in the tobacco industry. Successfully resolved at IRS Appeals, with a full government concession, an IRS controversy related to international boycott provisions under Section 999 of the Code on behalf of a U.S. multinational engineering firm. Also successfully resolved a long-term contract issue in favor of the taxpayer at IRS Examination. Successfully resolved at IRS Appeals, with a full government concession, an IRS controversy related to whether a non-U.S. bank earned income that was effectively connected with a U.S. trade or business. Successfully resolved an IRS controversy through a novel use of the “fast track” appeals process, an issue regarding a spinoff and deferred intercompany gain and related debt/equity issues, resulting in a substantial government concession and favorable result on behalf of a U.S. multinational hospitality company. Successfully resolved at IRS Appeals, with a substantial government concession, an IRS controversy related to certain outbound transfer issues in connection with Section 367 and foreign tax credit issues resulting from Section 304 transactions on behalf of a U.S. multinational manufacturing corporation. Successfully resolved at IRS Appeals, with a substantial government concession, an IRS controversy related to the sourcing of income and title passage issues on behalf of a U.S. multinational creative arts and manufacturing corporation. Successfully resolved at IRS Appeals, with a substantial government concession, an IRS controversy related to the sourcing of certain dividend payments to non-U.S. shareholders and related withholding tax considerations on behalf of a U.S.-based entertainment company. Successfully resolved an IRS controversy in connection with certain bad debt claims and recoveries in foreclosure, as well as other matters, in favor of the taxpayer at the IRS Examination on behalf of a U.S. multinational hospitality company. Represented a U.S. multinational corporation in connection with an IRS controversy related to claiming a deduction for a foreign currency loss incurred with respect to hedging an acquisition. Represented a U.S. multinational corporation in connection with an IRS controversy related to the deductibility of certain settlement payments with the SEC associated with international matters. Represented a foreign corporate taxpayer in connection with whether it was engaged in a U.S. trade or business through a permanent establishment in the United States. Represented a major multinational technology company in connection with an IRS dispute regarding an international structuring involving intellectual property and cross-border debt obligations. Counseled a global private equity fund (including supervision of foreign law firms) on transfer pricing controversy issues in India and France, and tax assessments in Australia.